Large jellyfish, exumbrella about 45 cm. Longest arm about 50 cm long. Washed up on beach. No visible damage from predator/fisherman. Super interesting. We don't get as many reports from Spain that are outside the Med. Gracias. 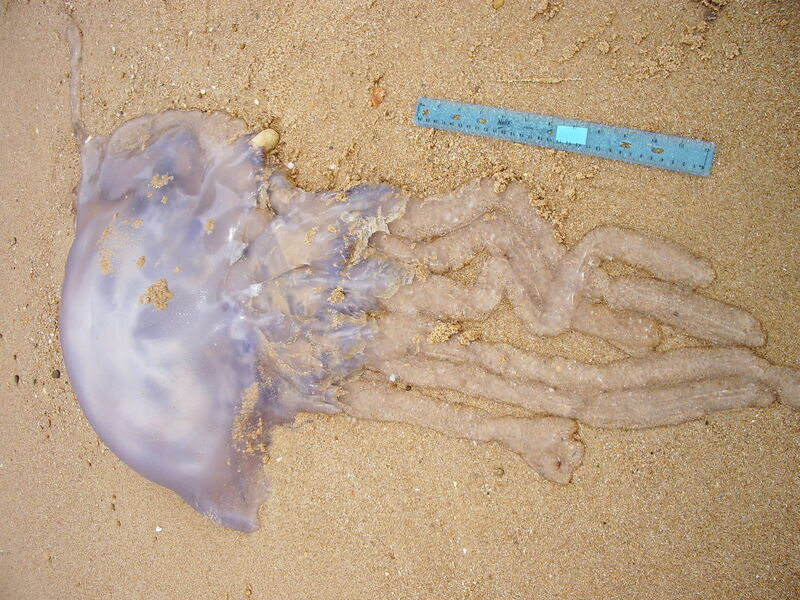 Looks like Rhizostoma pulmo, barrel jellyfish, cousin to Rhizostoma octopus found to the north.